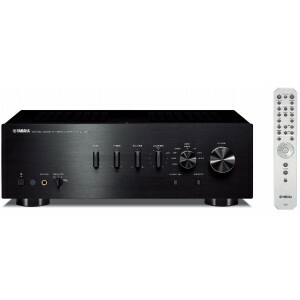 Yamaha A-S701 Integrated Amplifier and receiver is an amp which sounds as good as it looks. Featuring a handy digital input, the A-S701 is engineered for excellent sound quality in a beautiful shell, with the latest in Yamaha's amplification technology - ToP-ART. The A-S701 is a step up from the A-S501 - bigger, better and much more powerful. 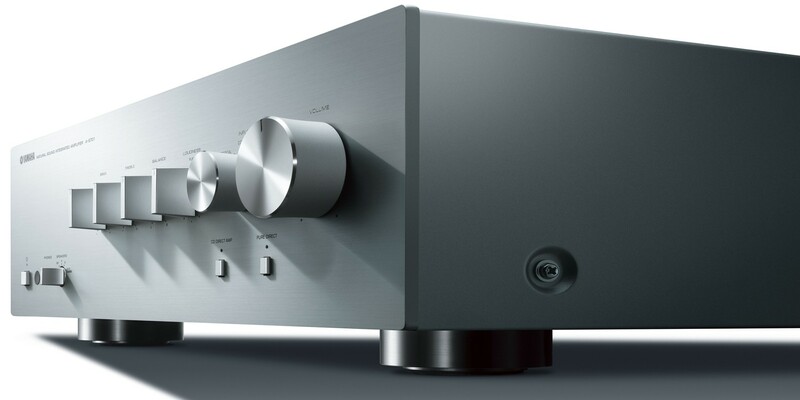 The Yamaha A-S701 Integrated Amplifier benefits from the high sound quality circuit design based on the acclaimed ToP-ART (Total Purity Audio Reproduction Technology) concept. This ensures optimum sound When processing and that the transmission of the audio signal is simple and direct, that way there is less there is less chance of it being affected by noise and distortion. ToP-ART features an I/O (input to output) Direct Symmetrical Design, with left and right channels organised in a straight, symmetrical layout for highest signal purity. In addition, this amp features an ART Base (Anti-Resonance and Tough) bottom chassis and a solid centre bar, which provides high-rigidity support and vibration damping. These Yamaha design innovations contribute to this amplifiers’ rich audio reproduction with abundant musicality. Yamaha's reputation for high-quality components is put into practice once again with the A-S701. A custom-made power transformer, custom-made block capacitors, two direct signal path speaker relays, one-point grounding system, aluminium extruded heat sinks and other top-quality parts effortlessly handle demanding audio signal conditions. The quality of each individual part, as well as how they work together, basically determines the sound quality of any component. Yamaha uses only very high-quality parts, carefully selected and tested - and this amp is no exception. Other features include Yamaha's Pure Direct mode for greater sound purity, a digital audio input for TV and Blu-Ray and terminals for two separate speaker terminals, a subwoofer and a phono MM. One of the most outstanding features is the connection for YBA-11 Bluetooth Wireless Adapter. With the YBA-11, you’ll be able to stream music wirelessly from a Bluetooth-capable mobile phone or a PC to the Network receiver. Thanks to the digital connection and aptX audio coding algorithm, you’ll enjoy wireless music streaming with optimum sound quality. You can also conveniently power the YBA-11 via the DC-out connection on the rear panel of the amplifier. For a YBA-11 Bluetooth Wireless Adapter. With the YBA-11, you’ll be able to stream music wirelessly from a Bluetooth-capable mobile phone or a PC to the Network receiver. Thanks to the digital connection and aptX audio coding algorithm, you’ll enjoy wireless music streaming with optimum sound quality. You can also conveniently power the YBA-11 via the DC-out connection on the rear panel of the amplifier. Gold-plated terminals ensure a high-quality connection that prevents signal loss. The A-S501 has Gold-plated speaker terminals and RCA (CD, Phono) and coaxial terminals, for that extra hi-end edge. Best of all, the A-S701 is equipped for digital audio input with both optical and coaxial terminals. The optical is for receiving audio from a TV, and the coaxial for receiving audio from a Blu-ray player. The audio stays in the digital domain, giving you pure, pristine dynamic sound for all your entertainment sources, from sports and other programmes to movies and concerts.